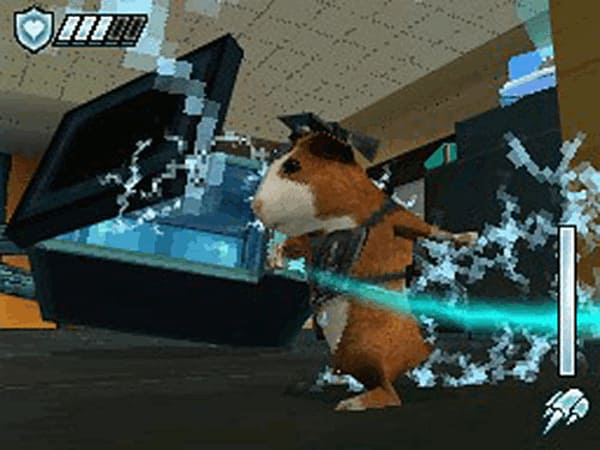 G-Force is a fast-paced action-platform game featuring a unique elite team of specially trained guinea pigs that use high-tech gadgets and specialized talents to complete a dangerous government mission. G-Force puts players in control of both Darwin, the guinea pig leader of the covert intelligence G-Force squad, and housefly surveillance sidekick, Mooch, as they team up with the other G-Force agents and use their gadgets, stealth mastery and pint-sized teamwork as mankind’s only hope to complete a dangerous high-level government mission. 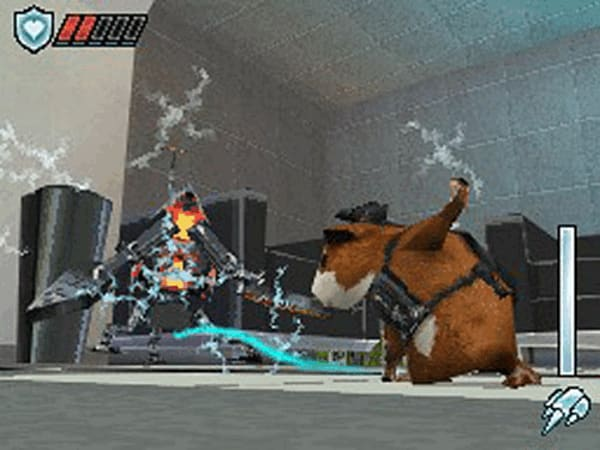 G-Force uses innovative gameplay featuring a unique sense of scale, puzzle solving that requires players to manipulate environments and enemies, including diabolical waffle irons among evil household appliances. Play as Darwin, the leader of the G-Force, and Mooch, your housefly commando sidekick!